Matcha Green Tea Bubble Tea powder used to make matcha green tea boba smoothies and green tea milk teas. There seems to be an incessant demand for anything green tea. It's everywhere from scents, desserts, ice cream and drinks. Now would be the perfect time to join the craze and experience a traditional Japanese tea ceremony right in the comfort of your own home with this powder. The invigorating and deep flavor with a lingering sweetness leaves your mouth wanting for more. 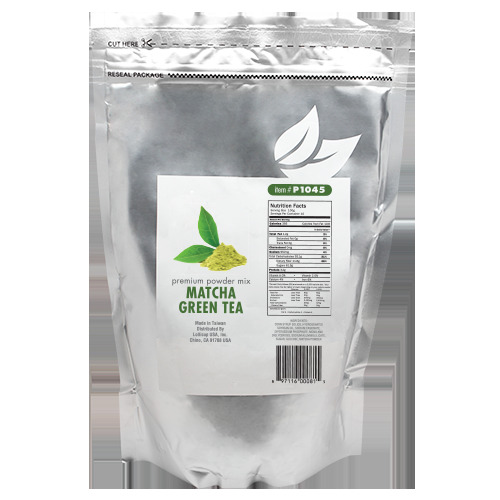 Matcha Green Tea Bubble Tea powder used to make matcha green tea boba smoothies and green tea milk teas. One of our most popular products. This flavored powders used to make green tea milk teas, green tea slushes and green tea smoothies. 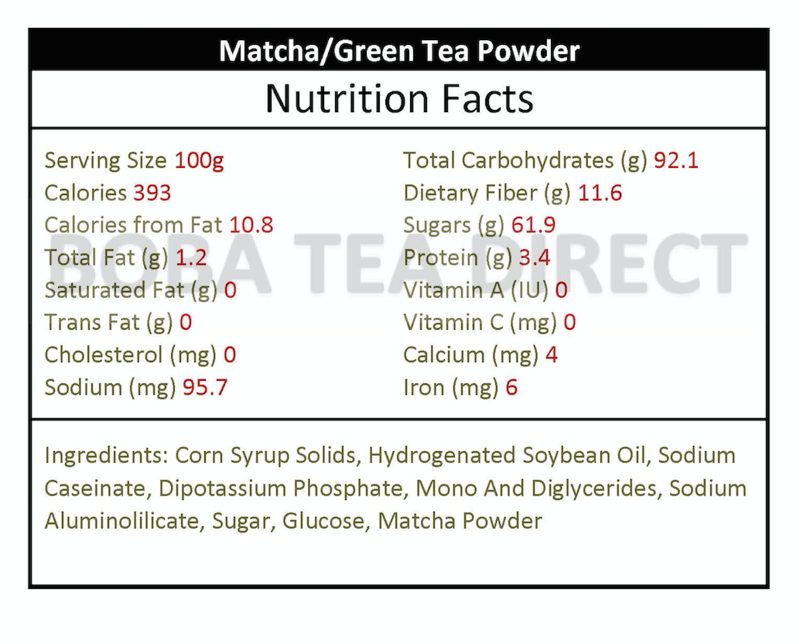 Intake the delicious taste of green tea with this powder mix! And let's not forget the purported health benefits of drinking green tea! Let's drink to your good health! This product is pre-sweetened with sugar and contains non-dairy creamer. Like this item? Try our Milk Tea Boba Tea Powder! good stuff. i make my own green tea frappuccino with this. Wonderful product! Highly recommend this to all. I've purchased this numerous times. i love it love it love it!@!!!!!! matcha is my favorite!! Very happy with my purchase and will be ordering again soon.